The tight-knit Broughshane community was left devastated at the weekend with the deaths of two well-thought-of women from the area. On Saturday morning, a road accident claimed the life of Alice Smylie while the same day Audrey Sneddon died after a battle with cancer. Mrs Smylie, a 74-year-old former nurse who was married with one son, died following a road crash near Castledawson. 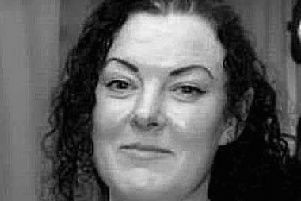 Mrs Sneddon, a married mother of three in her 40s, died peacefully in hospital. DUP councillor Beth Clyde said the community was in shock at the deaths of the two women. She said she had known the Smylie family for around 20 years and was a member of the same church as Mrs Sneddon. The councillor said: “Alice was very, very friendly and very helpful. She was a very good singer and played the organ. “I got to know her through the bowling club at St Patrick’s Church of Ireland in Broughshane. She didn’t play herself but she came along and helped out when her husband and son were playing. “They went everywhere together – Alice, Laurence and James. They came as a package of three. She added: “They were a very well-thought-of family. “Her son James couldn’t speak or hear. He’s such a friendly man, everyone loves him here. “Her death has come as a big shock. In such a close-knit community they’ll be dearly missed. “I just don’t know how hard it’s going to be for them. It’s devastating at the best of times to lose someone but this family was so, so close. Audrey Sneddon was a cook at Broughshane Primary School. “She was a lovely girl,” said Mrs Clyde. “The family will be distraught. She lived for her family. Her funeral service will take place in St Patrick’s Church, Broughshane today at 12.30pm. The arrangements for Alice Smylie’s funeral have not yet been announced.